This piece was first performed in September 2015. 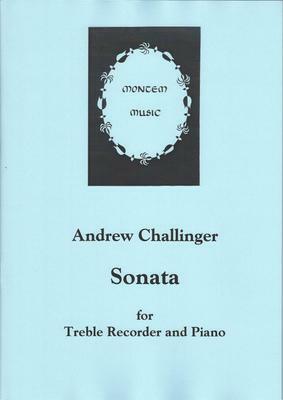 The first movement was suggested by Bach's sonatas with obbligato keyboard and maintains the texture of three independent voices throughout; the second was planned as a song and gives the recorder a clear vocal line with suggestions of birdsong. The last uses music originally written for a film. A feeling of tension pervades the music until the end when a major key arrives for the first time with a note of triumph after the modal writing of the rest of the piece. What do you want to know about Sonata?